Recognized as one of the best peppers in the world, Kampot's Black Pepper is grown traditionally and organically. Each corn has been selected one by one by hand at La Plantation to offer you the best quality. Available in 100g recycle paper pack for pepper amateurs. What better than a beautiful mill to taste your Kampot Pepper. This pepper mill is made in Belgium in beech wood and the head is an old and authentic billiard ball. Isn’t it a beautiful Pepper Mill? 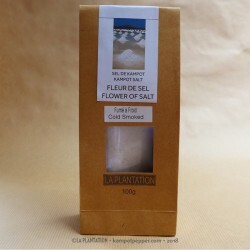 Kampot Flower of Salt (Fleur de Sel) benefits from exceptional climatic conditions. 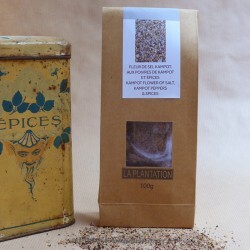 The cold-smelling Fleur de Sel from La Plantation develops a strong, delicate and fragrant taste on the palate, with an irresistible smoky flavor. Available in 100g recycle paper pack for amateurs. As one of the most aromatic of all herbs, Kaffir lime leaves brings an elegant citrus flavor to recipes. Sprinkle some crystals of this unique mix on roasted chicken, steamed or grilled fish before serving. Available in 50g recycle paper pack for amateurs. Black Pepper (Piper Nigrum L.) is a Piperaceae specie native to the coast of Malabar. This vine grew wild in the forest, along a tree trunk, in the province of Kerala in India. Plants were then transported and cultivated in the tropics, in Brazil, Madagascar or in the countries of Southeast Asia. Since the 13th century, the region of Kampot develops pepper plantations that benefit from an exceptional terroir, know-how and ancestral knowledge of pepper culture transmitted from generation to generation. This explains the exceptional quality of Kampot pepper. The year 2010 marks a turning point in the renaissance of pepper of Kampot with the establishment of a PGI (Protected Geographical Indication) by the Ministry of Commerce and the French Development Agency (AFD). Kampot pepper is thus the first Cambodian agricultural product to benefit from a PGI, issued on April 2, 2010. It was registered at European level in February 2016. The peppers of Kampot are distinguished by their unique fragrance. They develop a relatively mild spicy, fruity and complex aromas and exceptional mouthfeel. 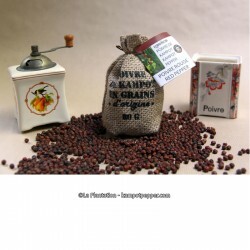 Kampot pepper is renowned for being one of the best peppers in the world. 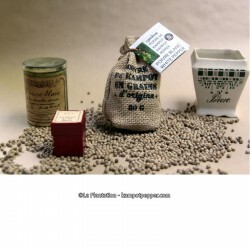 La Plantation's Kampot pepper is grown traditionally and organically (exclusive use of natural fertilizers and repellents). The different colors of peppers of Kampot are all from the same plant but picked or treated at different stages of maturity. The Plantation Pepper is processed at the premises in compliance with high standards in terms of hygiene and food safety. The corns of each new harvest are carefully selected by hand by our employees and packed in sachets on site to preserve all their aroma and flavor. 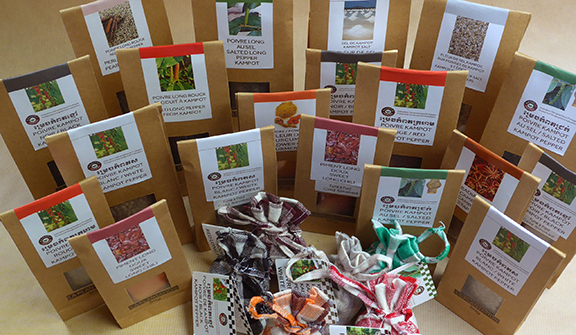 The packaging is deliberately natural, using natural or recycled materials. 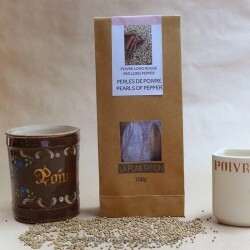 The plantation pepper is then sent by ship to Europe to be stored and available to satisfy your orders. 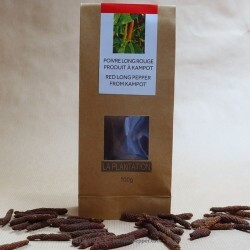 Discover the range of peppers and spices from La Plantation in Kampot. La Plantation is a certified organic Kampot pepper and spice farm. Our visitors who had appreciated La Plantation's Kampot pepper in Cambodia, were looking to reorder them directly in Europe. That's why our products are now available for purchase online.